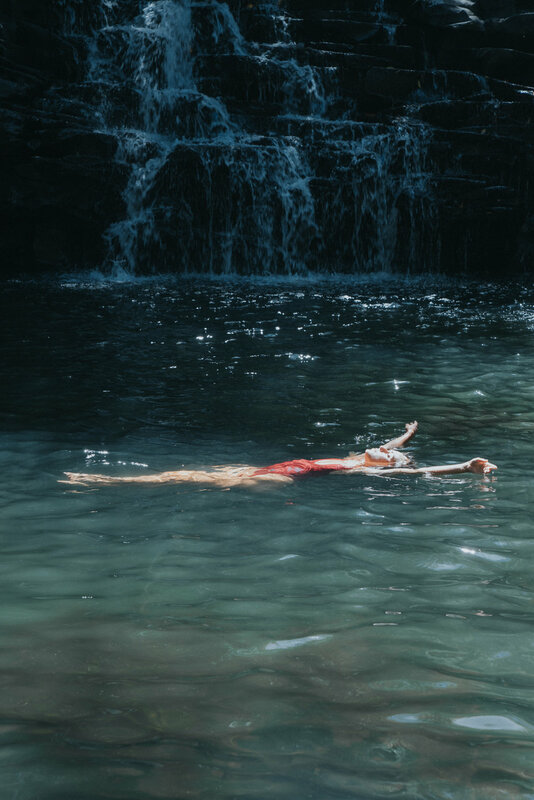 Cara Jourdan | MAUI II. 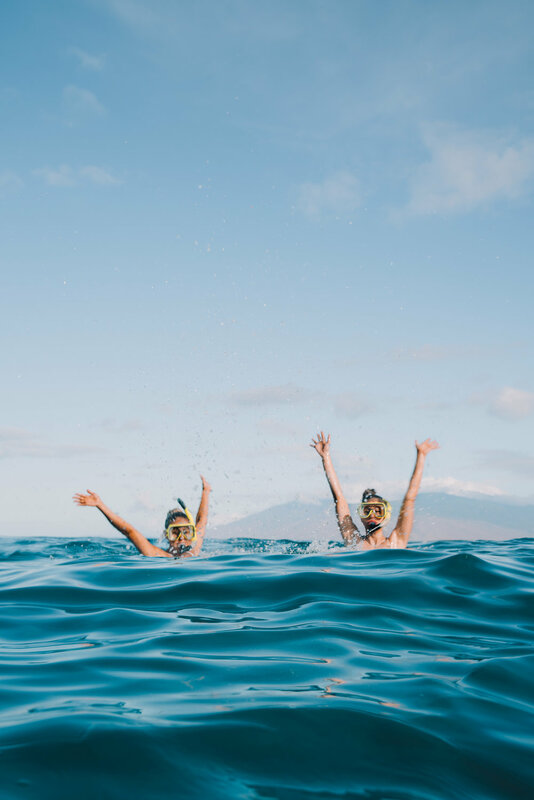 Some more happy moments from Maui - I always like to share a bit of a "guide" when I head somewhere new, so I am going to share a few spots we discovered on our adventure! -Chutes and Ladders - Make sure to check the tide, it can be dangerous & you also have to be prepared to climb down a rope ladder - A bit sketchy but cool! It is on The Road To Hana at Mile 37 - Park on the side of the road where the trees look "burnt". -Haleakala Crater- Make sure to make a reservation & bring something warm, it is chilly up top - Also, you can stop for banana macadamia nut pancakes afterwards at Kula Lodge. -Nakalele Blowhole - There is a heart shaped rock here, so cool! Tide can be sketchy, make sure to check the tide before you go. -Molokini Crater - A great place to snorkel to see tons of fish! We headed out on a sunrise tour with Kai Kanani Sailing, and it was spectacular - We saw dolphins, tons of fish and turtles, and they had coffee & tons of food on the boat. A really sweet way to start the day! -Twin Falls - The easiest waterfall to access! At 45 mile mark on the Road To Hana- You can park and walk to the first falls within 5 minutes, and there is a huge snack stand and washrooms out front, so it is a good place to visit with children. The water is refreshing and you can jump at the first fall, so it is fun! If you want to go where the crowd is a little thinner, you can walk up the the top fall. -Belle Surf Cafe- The cutest decor, the most delicious coconut latte's and really lovely books & gifts you can purchase. A must! 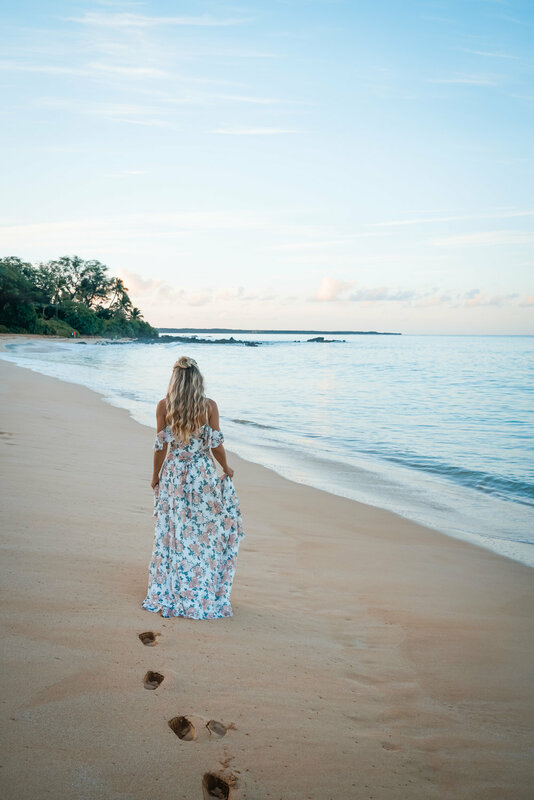 -Mana Foods - Located in Pa'ia Town, it is a really wonderful organic grocery store and offers a huge variety of yummy foods & pre made goodies so it is perfect for grabbing lunch for a beach picnic. -Humuhumunukunukuapua'a Restaurant at Grand Wailea - Yup, this is the real name! Reserve table 70 if you want a super romantic evening, it has a private view so it is perfect for that special evening. Until next time when I can add more to the guide!